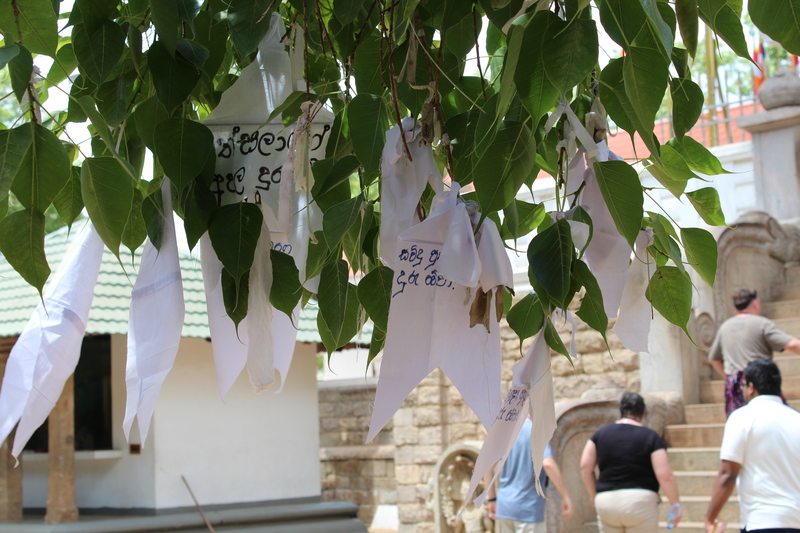 During our third day in Sri Lanka, we visited two very important religious centres and pilgrimage sites: Mihintale and Anuradhapura. 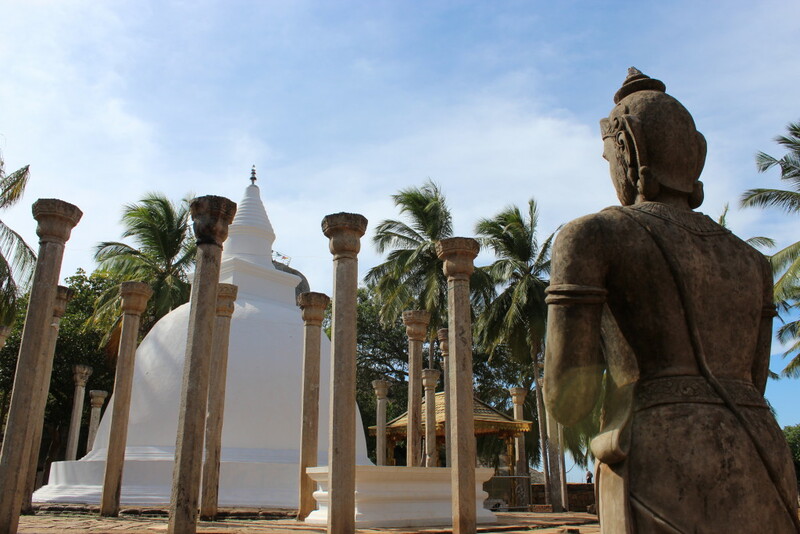 It is the place where the Indian missionary Mahinda met and converted King Devanampiyatissa in 247 BC, establishing Buddhism as the island’s state religion. The story goes that the king and his attendants were tracking a deer near the summit of the hill when they were met by a man dressed in monk’s robes. 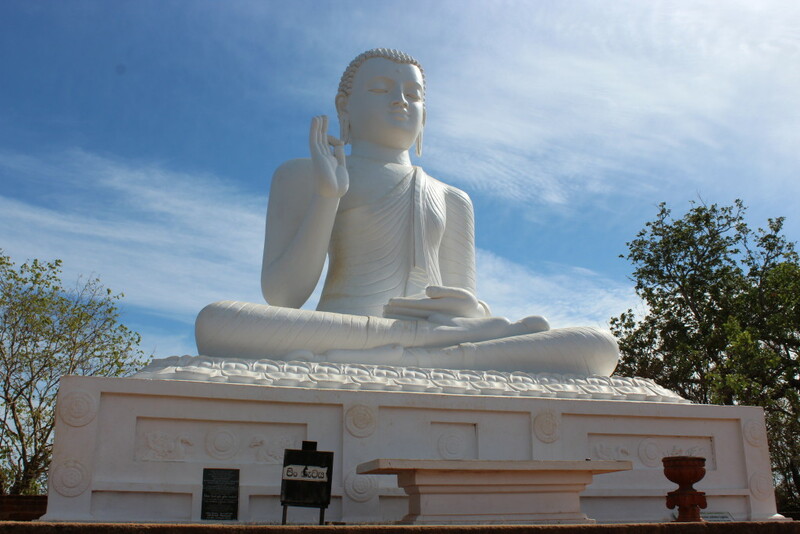 This was Mahinda, son of the great Mauryan emperor Ashoka, who had been sent by his father to bring word of the Buddha’s teachings to Sri Lanka. 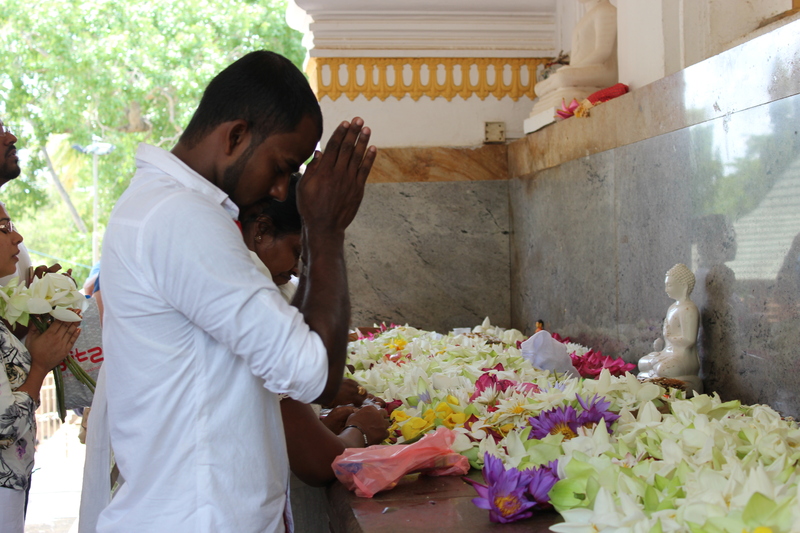 Mahinda found a receptive audience in the king, promptly converting him and his entourage of 40,000 followers to the new faith. 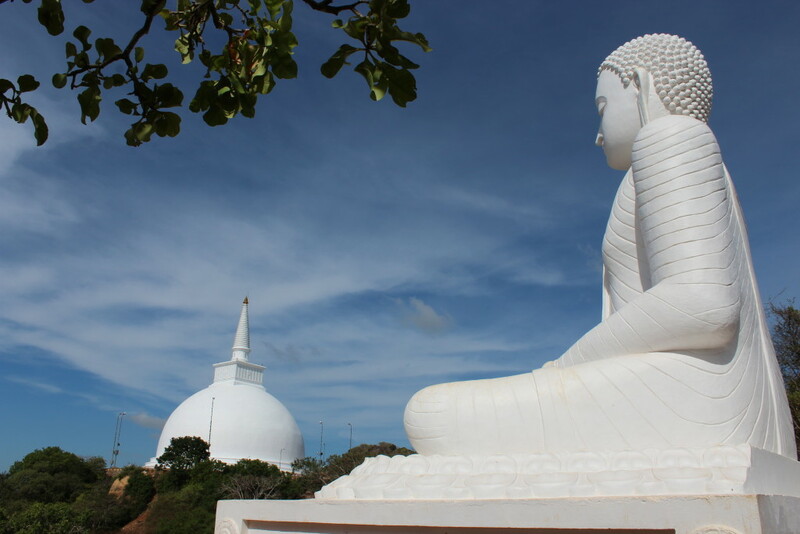 Buddhism was immediately embraced by the Sinhalese people and soon became firmly established in the island – unlike in India, its birthplace, where it would subsequently fall into terminal decline. 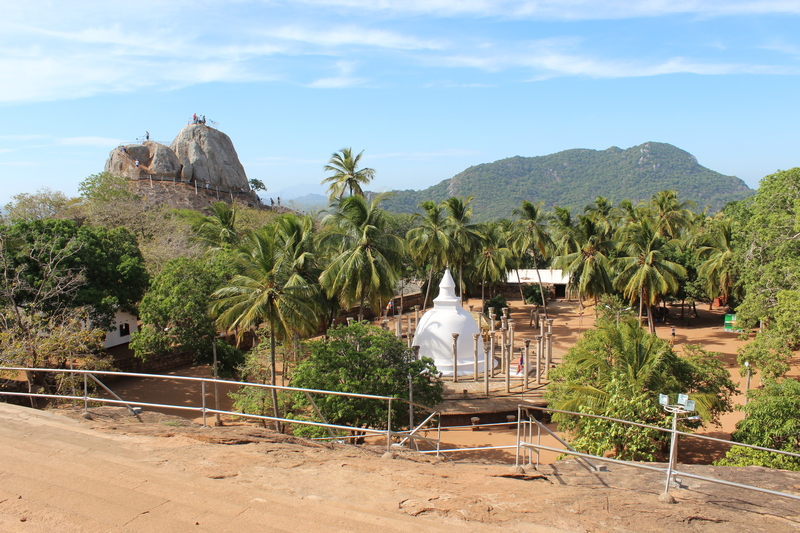 Ambasthala Dagoba, or Mango Tree Stupa, marks the place where Mahinda surprised King Devanampiyatissa in the middle of hunting. 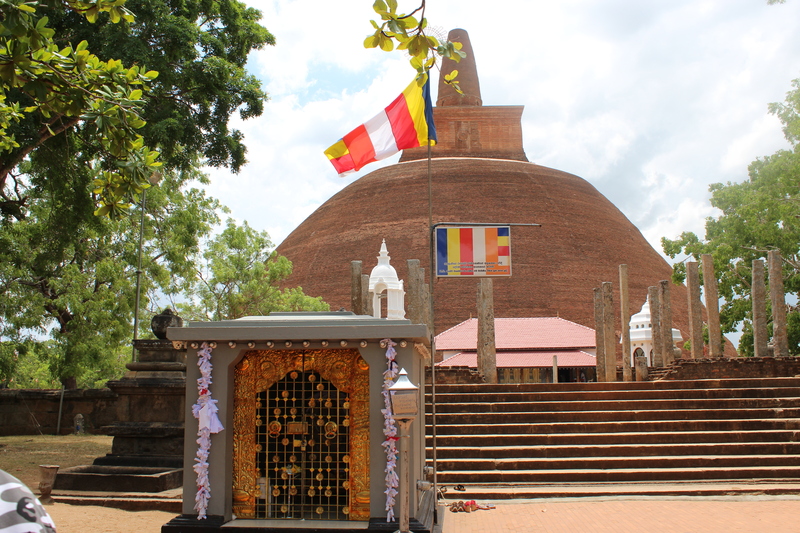 The stupa is supposedly built over the exact spot where Mahinda stood, and a statue of the king is placed where he stood – respectful distance away. The beautiful lady beside me is Pani Ewa, our Polish tour guide. 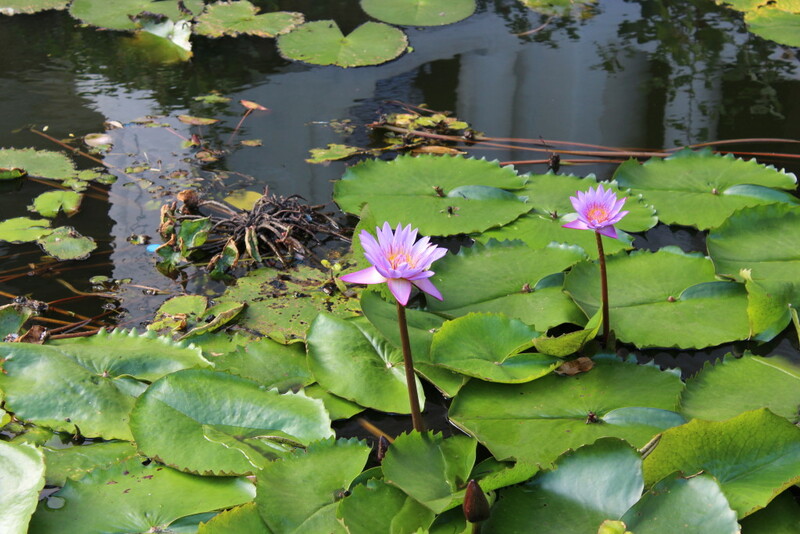 She has been living permanently in Sri Lanka for the last 7 years. She loves the country and has a fascinating way to talk about it. 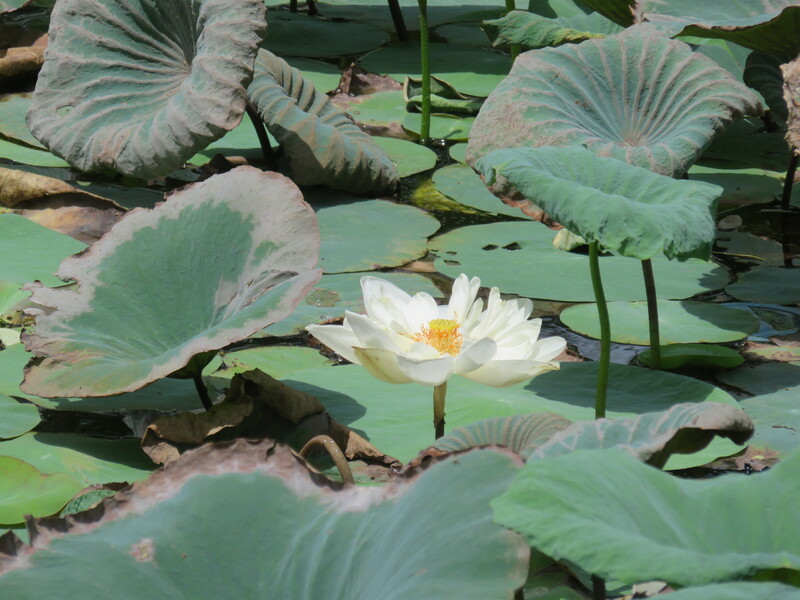 We are very lucky to have her as our guide. 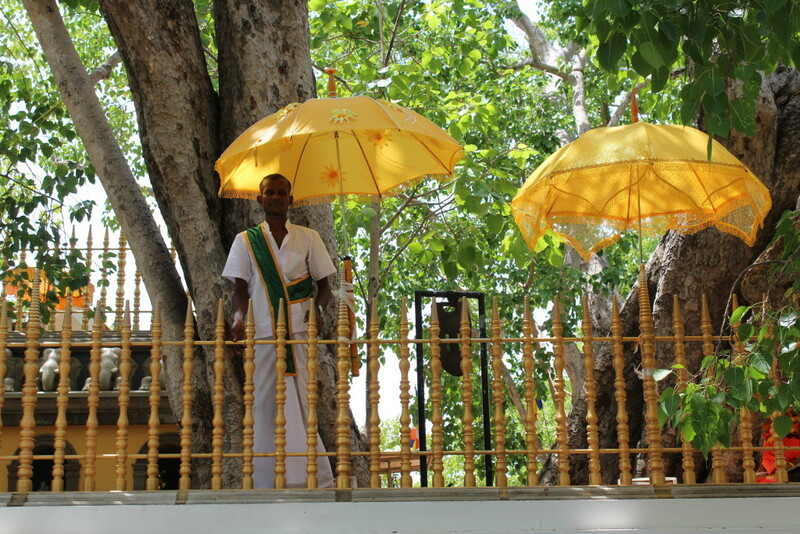 And now, welcome to Anuradhapura, a city that was once one of the biggest and most ostentatious in the world. In Roman times it was so huge that it would have taken an entire day to walk across. It’s known to have had over 50 miles of ramparts and a population of two million. For over 1,400 years, this was the island’s capital, it’s been the seat of 113 kings and queens. Few cities on our planet have been continuously occupied for so long. 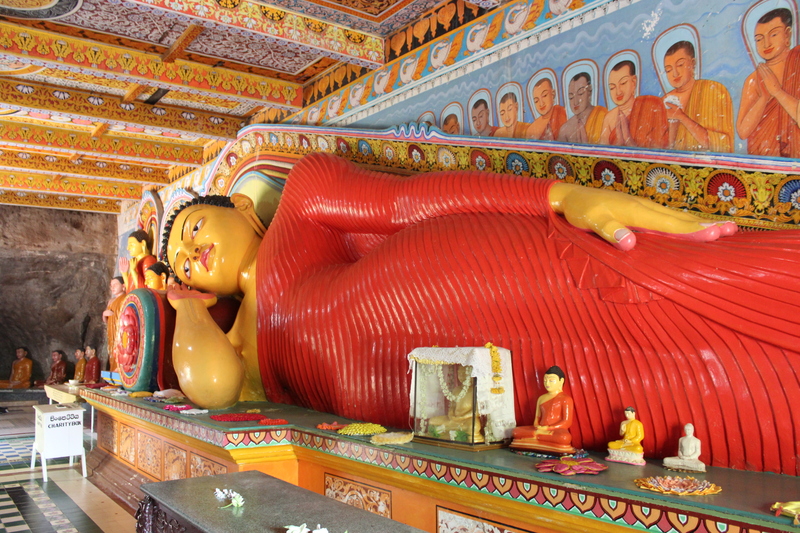 Isurumuniya Monastery houses this huge statue of reclining Buddha. 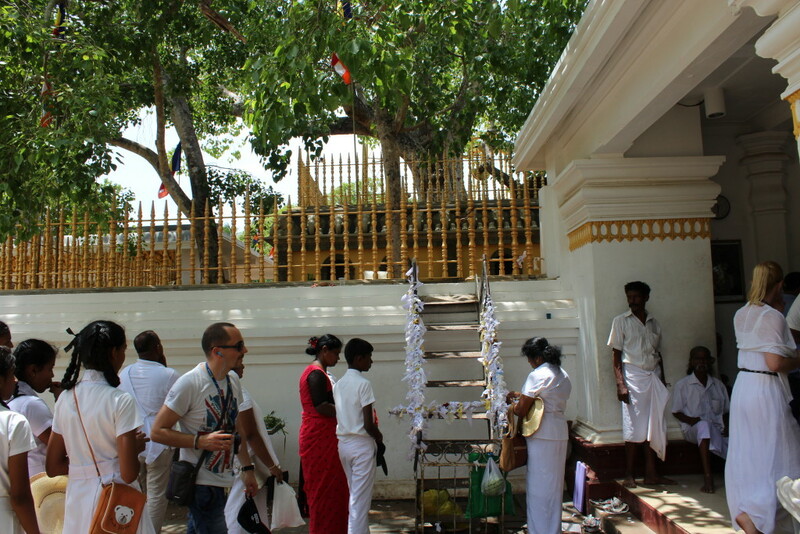 At the heart of Anuradhapura is a bo tree (or ficus religiosa), thought to have been an offshoot of the tree under which the Buddha had achieved the enlightenment. It has now been here for twenty-three centuries, which makes it not only the oldest tree known to man but also one of the oldest living things. Its long limbs are now supported on thick calipers of brass. Many times it has been at the heart of the story, being attacked with axes, or – on one occasion-blown up by a bomb. 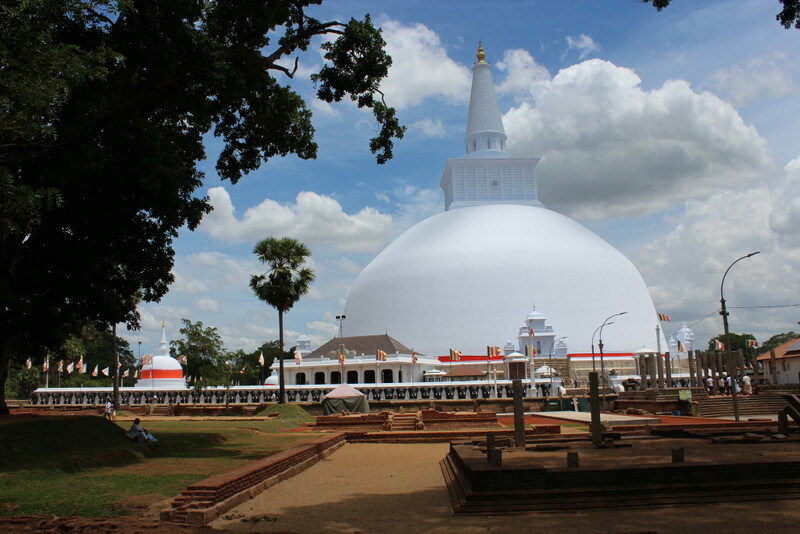 The enormous stupas erected by the Sinhalese kings during Anuradhapura’s golden age were surpassed only by the Great Pyramids at Giza. 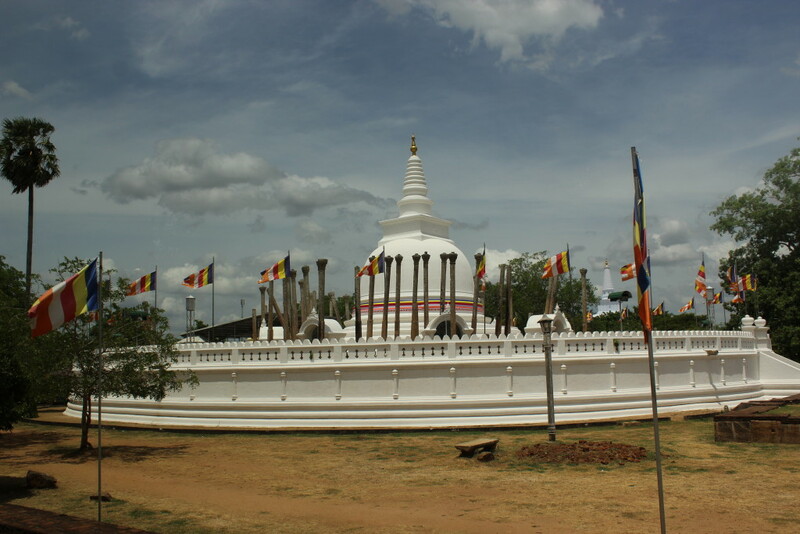 Ruwanwelisaya Stupa, built around 140 BC by king Dutugemunu. It is one of the world’s tallest monuments, 103 meters tall, renovated in the 20th century. 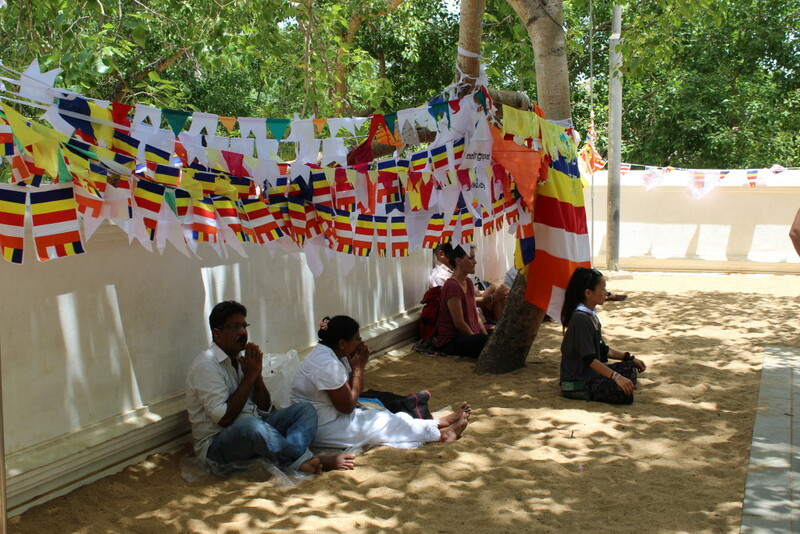 The stupa is repainted every year. Wow, what an impressive city. 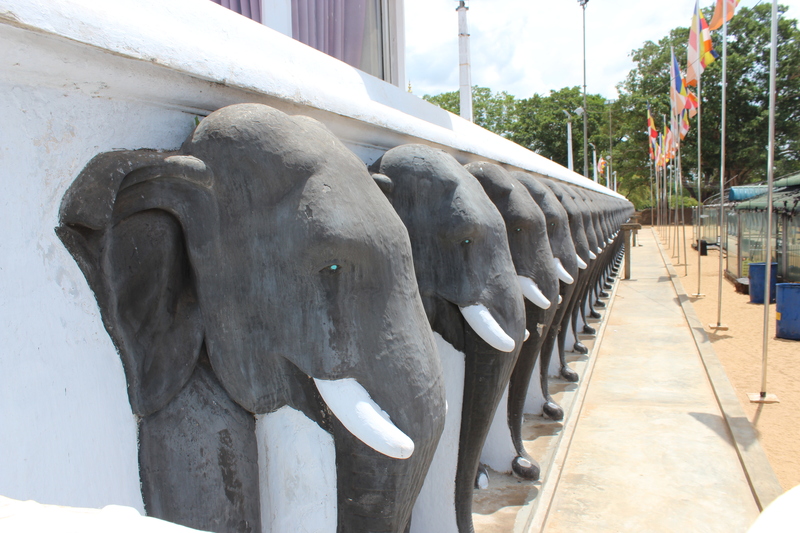 It is absolutely worth coming to Anuradhapura in Sri Lanka. Thank you Alda, of course I will send more pictures but sometimes the internet does not work or is too weak. Please continue traveling with me. Thank you for all the information. Lots to read. Will revisit again. Beautiful photos.